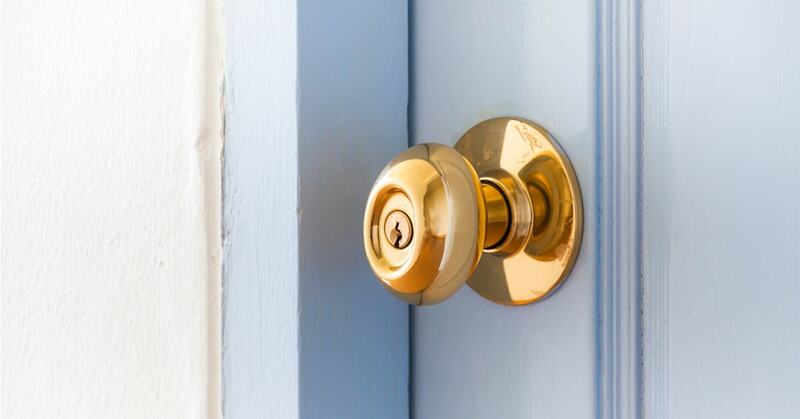 Let our experts show you how to properly install a handle and lockset on your exterior door, and post a warning to all burglars at the same time! 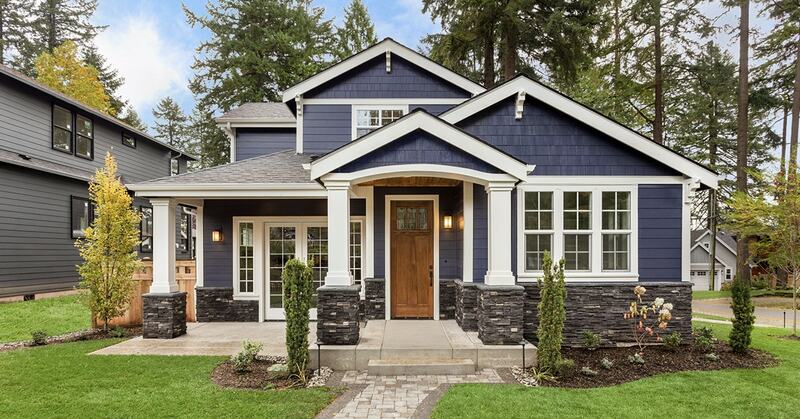 This a straightforward project that can be completed fairly quickly. 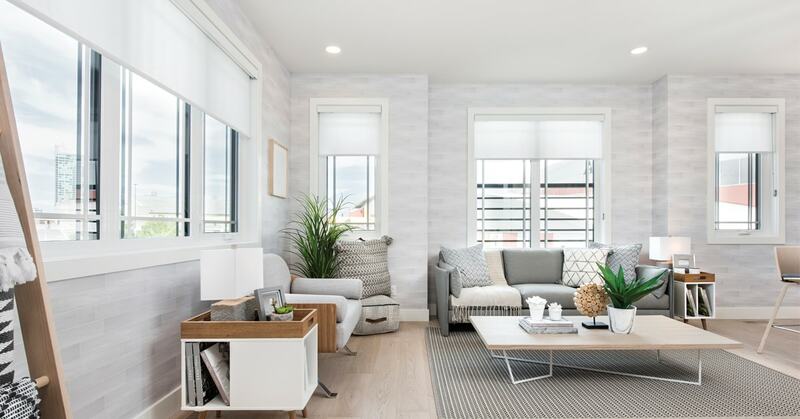 How much you want to spend is completely up to you: although handles and locks come in a variety of models for all tastes and budgets, the installation process is essentially the same. 1.1 - Place the lock template on the door. Use masking tape to maintain in place. 1.2 - Check the size of the hole saw on the template, then insert into your drill. 1.3 - Drill or enlarge the holes where indicated. 1.4 - Take care: the drill must be perfectly level to square the hole. 1.5 - For a clean cut, drill from one side only until the hole saw touches through the other side, then drill from the other side. 1.6 - Insert a flat boring bit in your drill, first referring to the template for the correct size. 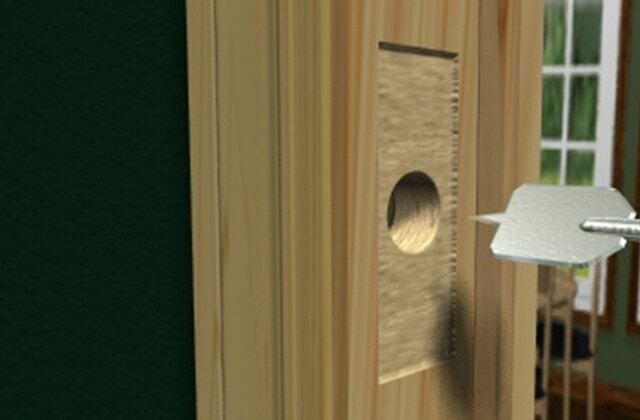 1.7 - Place the drill bit on the door jamb (side of the door) and drill the hole for the deadbolt. Keep the drill level to square the hole. 1.8 - Drill through to the lock hole. Repeat these steps for the hole for the handle, if necessary. 1.9 - Use sandpaper to smooth the edges of the holes. 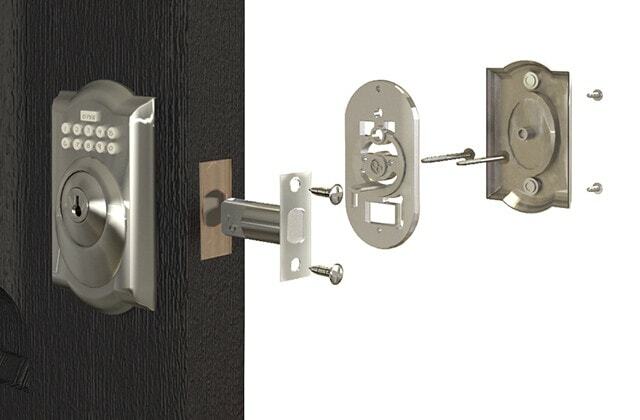 The faceplate is a rectangular metal sheet that surrounds the deadbolt and latch bolt and sits flush with the door. 2.1 - Insert the bolt into the lateral hole of the door. 2.2 - Use a pencil to draw a line around the contour of the faceplate on the jamb. Withdraw the bolt. 2.3 - Use a wood chisel to mark the contour of the line. 2.4 - Score parallel lines ¼" apart within the contour. 2.5 - Hold the chisel at an angle, approximately 45°, with the angled edge pressed into the wood, and press to remove the wood. Continue until the faceplate fits. 2.6 - Repeat for the other bolt, if necessary. 3.1 - Slide the deadbolt into the lateral hole. 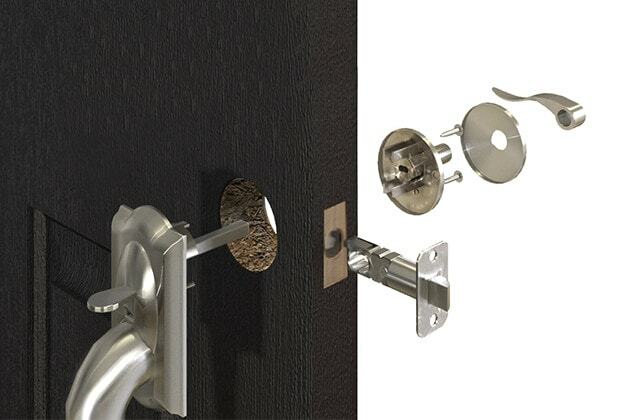 3.2 - Insert the lock piece with the lock cylinder and keypad through the exterior hole. 3.3 - Add the plate and turnpiece through the inside. 3.4 - Insert the mounting screws through the latch mechanism. 3.5 - Screw in the two pieces. 4.1 - Slide the latch bolt into the lateral hole. 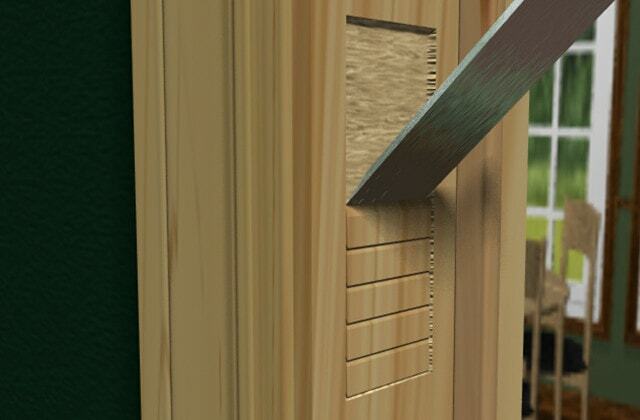 4.2 - Place the exterior handle aligned with the opening on the exterior of the door. 4.3 - From the inside, add the mounting plate and the handle by inserting the spindle assembly into the latch mechanism. 4.4 - Fasten the mounting screws. 4.5 - Fasten the screws for the latch mechanism. Chisel out the area for the strike plate and drill the mortise. The strike plate is a rectangular metal plate on the door frame, and the mortise is the hole holding the bolt that locks the door. 5.1 - Dust the tip of the latch with chalk. 5.2 - Close the door and mark the spot where the latch touches the door frame. 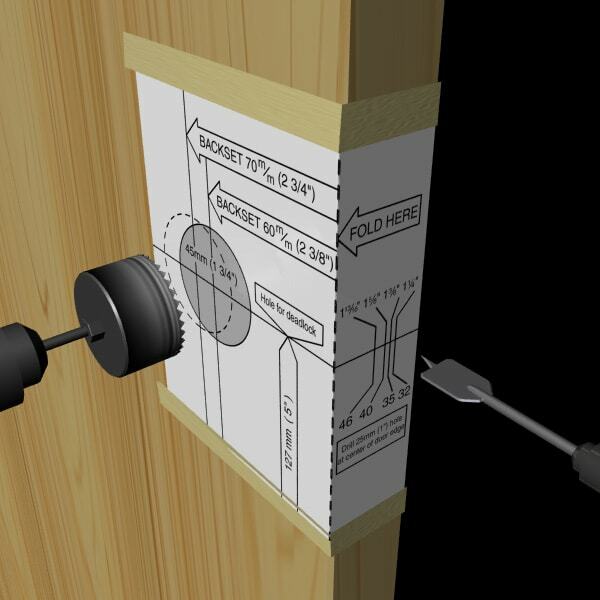 5.3 - Place the strike plate on the door jamb and draw a line around the contour. 5.4 - Cut the mortise with a chisel or router. 5.5 - Replace the strike plate and check that it is aligned and sits flush with the door frame. 5.6 - Mark the hole for the latch and remove the strike plate. 5.7 - Use a 7/8" spade bit to drill the hole for the latch. 5.8 - Screw in the strike plate.